Wilkinson School is the third passive house school built for Wolverhampton City Council by the same collaboration of architect, contractor, timber frame company (for two of the three), passive house consultants, and M&E consultants. After the previous Wilkinson School building was destroyed by a catastrophic arson attack, the head, who had been impressed with the quality of the buildings at Bushbury and Oak Meadow, told Wolverhampton City Council she wanted the same for her students. By this time the standard budget had been cut by 10%. But the same team was able to work together again, and could take advantage of what had been learned to date to deliver this latest school more quickly and efficiently – and at a lower capital cost. The one concession made by Wolverhampton was that, as energy use and emissions would be so low anyway, there was no need for the on-site renewables usually required by the council. Wilkinson, like Oak Meadow and Bushbury before it, is a two-storey school: this makes passive house easier and cheaper to achieve (two-storeys are not unusual in larger primary schools, and leave the school more outdoors space). As with their previous school designs, Architype incorporated some of the specialist teaching areas such as IT and cookery into the circulation space, enabling them to create the wide, daylit double-height ‘streets’ which contribute to the spacious feel inside. Wilkinson uses the same basic construction method too: an externally insulated timber frame, set on a slab with insulation beneath, and has a similar approach to building services, with gas boilers and radiators providing the heating. However, careful analysis of the performance of the first two schools enabled the team to identify some expensive features that were not really necessary, and the construction team (timber framers Cygnum and Thomas Vale Construction) was able to refine its approach to accommodate the needs of a passive house build more smoothly. This all contributed to a simpler and cheaper process. The classic passive house tends to have large areas of south facing glazing, and Bushbury and Oak Meadow were no exception. Experience with these two builds enabled a more tailored glazing design for Wilkinson that saved money, and quite possibly improved comfort and performance too. Typically in a passive building, internal heat gains provide about a third of the total heating. As schools are densely occupied compared to houses, body heat is a major contributor to internal gains. However, the assumptions underlying school occupancy in the Passive House Planning Package (PHPP) relate more closely to German schools than British ones. Looking at a sample of schools, Nick Grant of Elemental Solutions calculated that British schoolchildren are squeezed into approximately half the space available to their German counterparts – so contribute twice as much body heat per square metre of classroom. 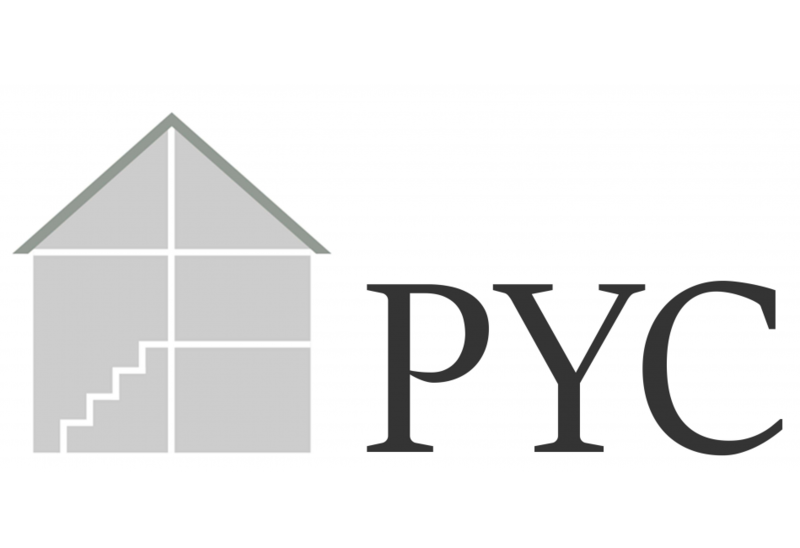 Compared to the PHPP “standard” school, this translates to a very handy additional 5-6 kWh/m2/yr of useful heat across the heating season – and a less welcome extra burden of unwanted gains when it's warm. Elemental Solutions realised they could reduce the amount of solar gain from south glazing without endangering the heat demand ceiling of 15kWh/m2/yr, because these additional gains would make up the difference. Reducing the amount of south glazing would in turn reduce unwanted gains in warm weather – and save money. It could even improve daylighting, as tall windows need deep (wide) shades – which in turn reduce sky view, and therefore daylight. The snag of course is that such a building would show up as needing over 15kWh/m2/yr of added heat in PHPP, because of the software's lower heat gain assumptions. However, Elemental Solutions wrote to the Passive House Institute explaining the case, who agreed they could use a more realistic figure based on UK school occupancy levels. Thus, one of the main differences between the glazing at Wilkinson School and its predecessors is that the classroom windows here generally stop at around desk height, rather than dropping to the floor. This is simpler, cheaper – and gives more useful space. Even with reduced areas of south-facing glazing, any building is at risk of overheating in hot weather without good purge ventilation. While MVHR running on summer bypass can remove quite a bit of heat, wide-open windows can do more, and the strategy in all Architype’s passive buildings is to provide generous natural ventilation for this. Nevertheless, some of the south-facing classrooms in the team’s first two passive schools became a bit warm – at 25C it was nothing drastic, but staff found it uncomfortable. As well as the floor-to-ceiling glazing, there were also some difficulties getting the windows to open. Some low-level windows were so large they had to be mechanically operated, and the opening had to be restricted to avoid any possibility of fingers becoming trapped. Meanwhile the highlevel ventilation in the curtain walling did not perform perfectly either. Curtain walls, although they look lovely, present some practical problems. “This was a big lesson we learned as architects,” says architect Lee Fordham of Architype. The openings were also very close to the ceiling, restricting airflow. And the lack of frames in the curtain walling caused problems with the actuator siting, leading to cables getting caught in the windows. With Wilkinson, these lessons were learned. The building has windows built conventionally into the walls: quicker to install, easier to make airtight – and a lot cheaper. “The way we have framed the windows looks very nice, we are very pleased with the elevations,” Lee Fordham says. After the experience with the first two schools, says Lee Fordham, “we realised that the occupants were better at controlling their comfort than the BMS was. 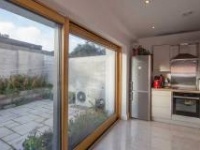 BMS is not always in tune with user needs; it can also be distracting when it keeps opening and closing the same window, making a buzzing noise each time.” At Wilkinson the smaller, lighter, low-level windows are all manually operated. With heat loads as small as they are in passive buildings, Elemental Solutions are inclined to offer simple advice. Running costs and emissions will be low whatever the heat source, so it makes sense to go for a system that is familiar, reliable, and inexpensive – hence the use of simple gas boilers and radiators, with local control via thermostatic valves, for all three of the schools. The team took advantage of the BMS monitoring information from the first two schools to refine their design decisions at Wilkinson. The systems specified for the earlier schools – two boilers, and two large radiators per classroom – were much larger than needed. At Wilkinson the heating system supplies one modest radiator per room, saving money and freeing up wall space. Monitoring at Bushbury and Oak Meadow also enabled a simpler hot water design. There, the majority of the heat used by the hot water system turned out to be disappearing as circulation losses. At Wilkinson it was decided to use a dispersed system instead, with small electric heaters supplying just four or five rooms apiece, via small bore pipework, to minimise losses. For background ventilation, because the number of people in the building is so predictable, it was not necessary to cater for all eventualities. Thus rather than the standard approach of providing air changes to each room to match the maximum number of occupants it might contain (ie, basing supply on floor area), it was possible to subdivide the building into fewer zones, and supply air in at one end, cascade it through, and extract at the other, as the same number of occupants will always be somewhere in the cascade. This greatly reduces the amount of ductwork required, compared with supplying and extracting from each room separately. For the school hall, occupancy varies widely (from no-one to the whole school community), so here a CO2 sensor is used. When the hall is in use, air is brought in through the wall from the internal 'street'. When everyone is in the hall, the air arriving into the 'street' from the classrooms is fresh, because the classrooms are empty – thus there is no need for a separate supply from the main unit. Initially the plan was to ventilate the schools naturally (ie by window-opening) in summer, with no MVHR. However, as Lee Fordham explains, although you can turn the heating off in summer with no problem, people need to be told to switch to natural ventilation when the MVHR shuts off. In practice, continuing to run the ventilation but on summer bypass is simpler: good ventilation is assured, and occupants can still use natural ventilation for additional comfort, which they don’t need telling to do. “This is worth the little bit of extra energy used,” Lee Fordham believes. Monitoring and occupant feedback on electricity use at the first two schools proved invaluable too. Here the lighting had supposedly been controlled by BMS, but in practice this left lights on when they weren’t needed, with no way to turn them off. For Wilkinson, lighting controls were mostly ditched, along with the expense. The construction system for all three schools has been developed by Architype and their construction colleagues. It wraps a continuous ‘duvet’ layer of insulation around the outside of the frame and under the floor. As Lee Fordham explains: “To create a continuous layer of insulation the solid concrete floor floats over 250mm EPS. The load is spread evenly through the EPS, rather on the same principle as snowshoes, so this causes no structural problem. 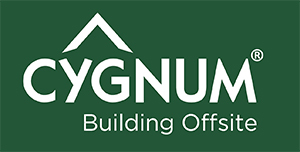 Although Oak Meadow and Bushbury schools had freestanding glulam structures entirely inside the thermal envelope, with the reduced budget at Wilkinson School this would have cost too much, as Mark Smith of Cygnum explains. Instead, there is a load-bearing stud wall in the first (inner) 140mm of the 340mm insulated space. The outer 200mm is created by Larsen trusses, and the full thickness is insulated with blown cellulose insulation. Onsite assembly means less timber needs to be used in the outer section, minimising thermal bridging in the all-important 'duvet' layer. Inside, the team has built on the experience of maintaining airtightness in the first two schools and the continuous OSB airtight layer is prioritised, ensuring it has as few joints as possible. The experience of the previous builds using the same system has enabled the team to come up with other apparently small refinements that nonetheless make life a lot easier on site. For example, contractor Thomas Vale has perfected the way it tapes the windows – eliminating hundreds of pin-sized potential holes; and the way the walls are now prepared to receive the roof makes subsequent taping of the air barrier between them much more straightforward. How is the school working? 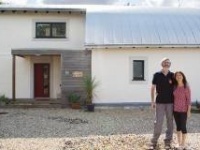 Building, then studying, a series of passive schools has enabled a lot of streamlining, and seems to offer the much-hoped-for reductions in the passive house cost premium. Critical to these savings, however, was the close teamwork and full buy-in from all parties. “It would have been impossible without the continuity of the main firms involved,” Lee Fordham believes. Everyone gained from putting aside “the way we’ve always done it” and responding to the specific requirements of passive house. 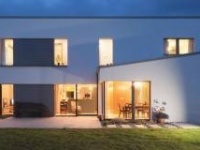 But just as valuable, everyone – and the budget too – gained from identifying and omitting the expensive and complex features that passive house manages perfectly well without. Building type: two-storey school, 2610 sqm gross internal floor area, timber frame with Corten steel and Wienerburger Corium brick façade. Heating system: Remeha Quinta Pro QP90 (rated output 84kW) condensing natural gas fired boiler and radiators. Gross efficiency at 50C Flow, 30C Return is 104.1% (net 93.8%). Hot water is provided by a number of local electric water heaters to minimise distribution and storage heat losses. Microbore copper pipework is used for final pipework to keep hot water deadleg volumes to a minimum. Main school: Swegon Gold 50 supply and extract air handling unit with rotary wheel heat exchanger. 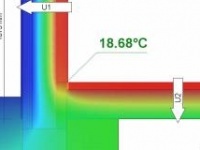 Heat recovery temperature efficiency 82%. Kitchen: Swegon Gold 12 supply and extract air handling unit with run-around coil heat exchanger. Heat recovery temperature efficiency 57%. Green materials: Fermacell boards, Warmcel cellulose insulation, Bitroc boards, Troldekt panels.